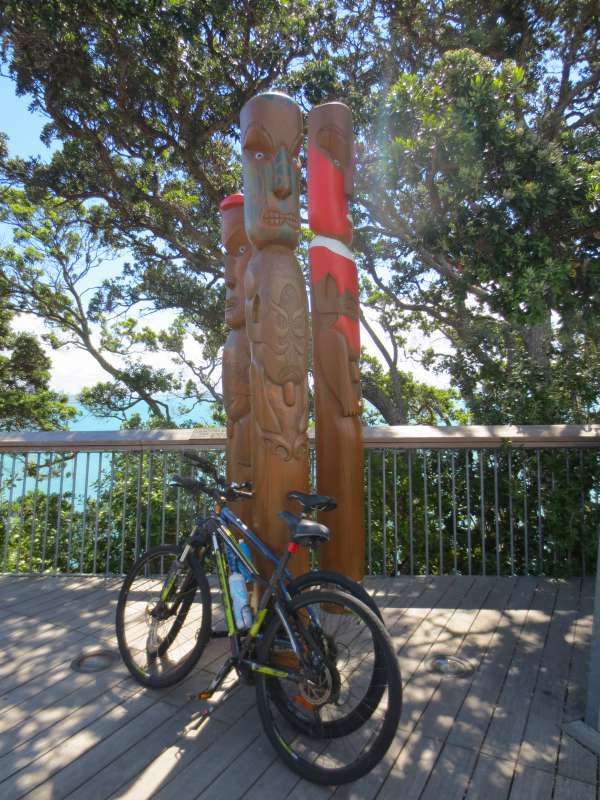 The Travelling Lindfields: Cycling in Auckland: Was it worth all the hassle? This holiday we arrived in NZ with the chain on David's bike so badly twisted we couldn't get his rear wheel back on. We then spent half the holiday cycling on flat tyres and timed our trip to coincide with day after day of some of the heaviest rain the North Island has seen in a long time. David and I don't cycle in the rain - it just isn't fun! Nor do we cycle up hills (if we can possibly avoid it), or downhill unless the slope is gentle. We don't camp and we don't cycle more than two or three days in a row. David likes to refer to our personal cycling philosophy as 'cycling in style'. We are leisure cyclists looking for scenic trails which aren't too taxing. 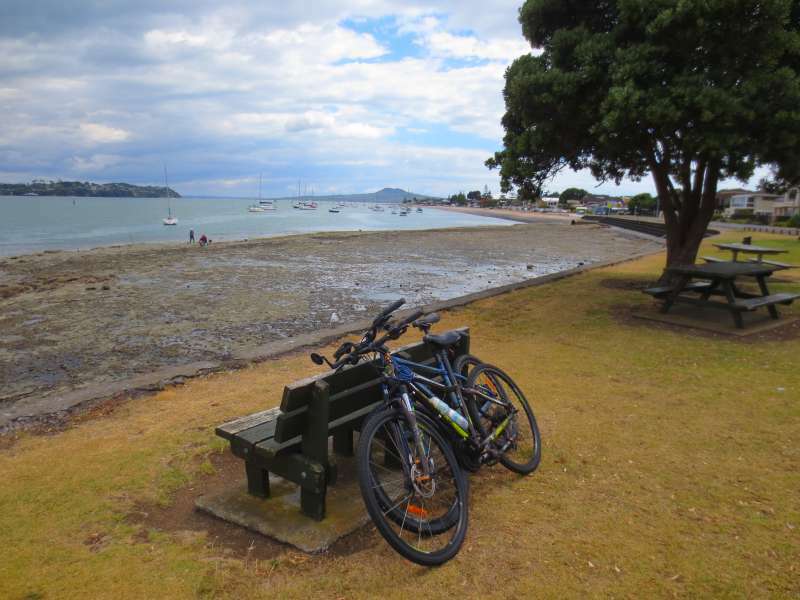 With many kilometres of gentle, harbourside bike paths, Auckland is perfect for us and in the end, yes, it was well worth the hassle of getting ourselves and our bikes across the Tasman Sea from Australia. If you are a fellow leisure cyclist or you have never hired a bike before on a holiday but want to give it a go, come to New Zealand, get yourself a bike and start cycling - trust me you won't regret it. Auckland Transport puts out a useful pamphlet with descriptions and maps of the city's walking, cycling and running routes. The best are tagged with a 'Great Rides' stamp but you can't go past the two David and I did on this trip. Terrain - Separated cycle/walking path the whole way except for the last few hundred metres from St Heliers to Achilles Point. Highlights - Sunshine and the ocean. What more can you want! Website and maps - Auckland Transport. This only shows the route as far as Mission Bay but the path keeps going. On a sunny day this is a spectacular ride, following the water for its whole length. Beginning in central Auckland, the route runs along Quay St past wharfs and boat harbours before continuing along a flat, off-road, shared pedestrian and bike path all the way to St Heliers Bay. The last couple of hundred metres from St Heliers Bay up to Achilles Point is steep and the shared path stops at the bottom of the hill. If you don't want to cycle it, get off your bike and walk. The views from the top are well worth the effort. David and I decided long ago always to take lunch with us when we cycle. The only time we ever see a nice little cafe is just after we have given up searching and had an inedible lunch at the horrible place around the corner. (Read about the ride which set this rule in stone at Lunch and the Cooks River Cycle Way.) 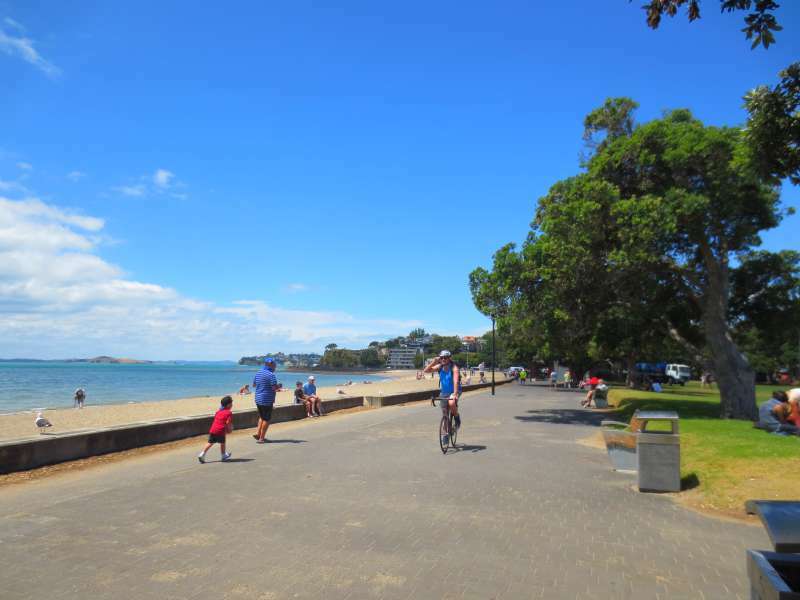 However the Auckland Waterfront Ride is a refreshing exception to this rule, with no shortage of lovely looking cafes, restaurants and pubs along the promenade at Mission Bay, about half way along the ride. Parking at the beginning of the ride in central Auckland is tricky. It gets easier as you head east. 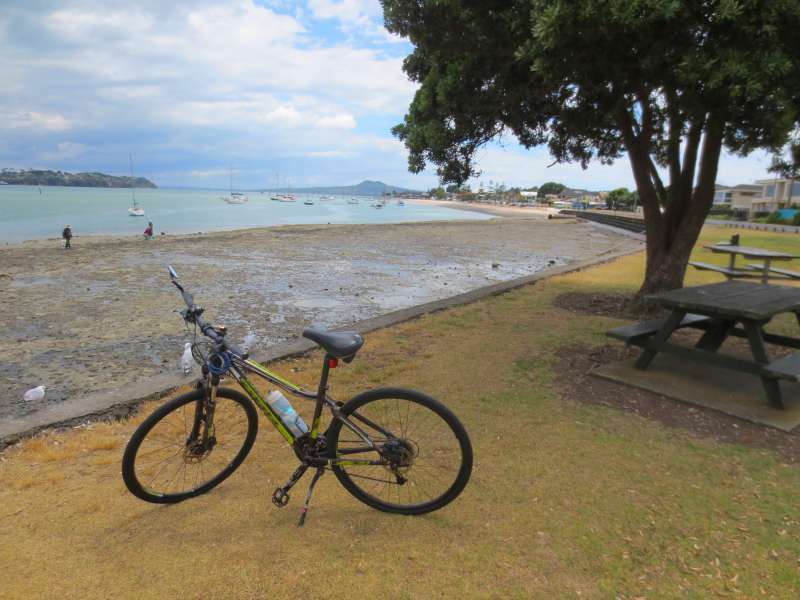 David and I solved the problem by parking in the middle, at Mission Bay, and dividing the ride into two separate cycles - one to central Auckland and return and the other to St Heliers Bay and return. Leave yourself plenty of time to stop and watch the world go by. There are so many parks and beaches you can't avoid people watching. 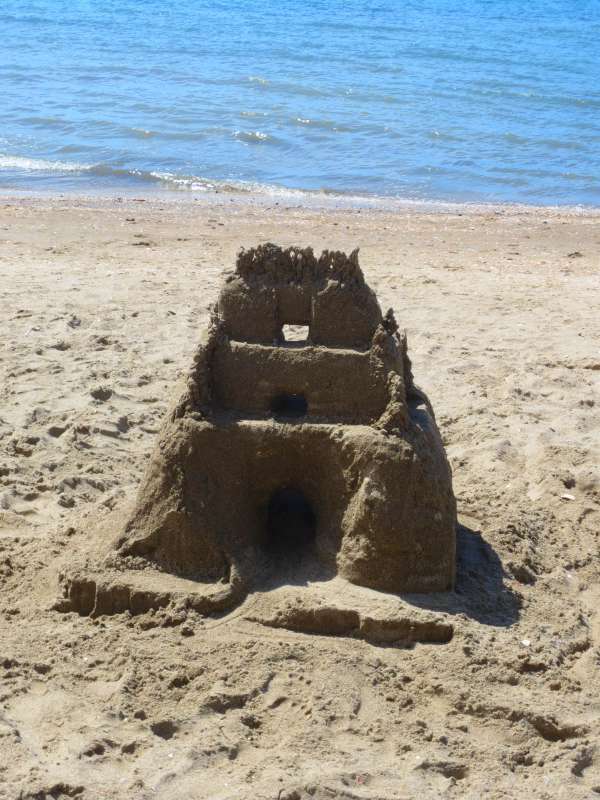 David and I spent ages watching two brothers trying to out-do one another building sand sculptures. There is nothing in the world quite like cycling along next to a beach on a sunny day. You pass some strange things when you cycle. 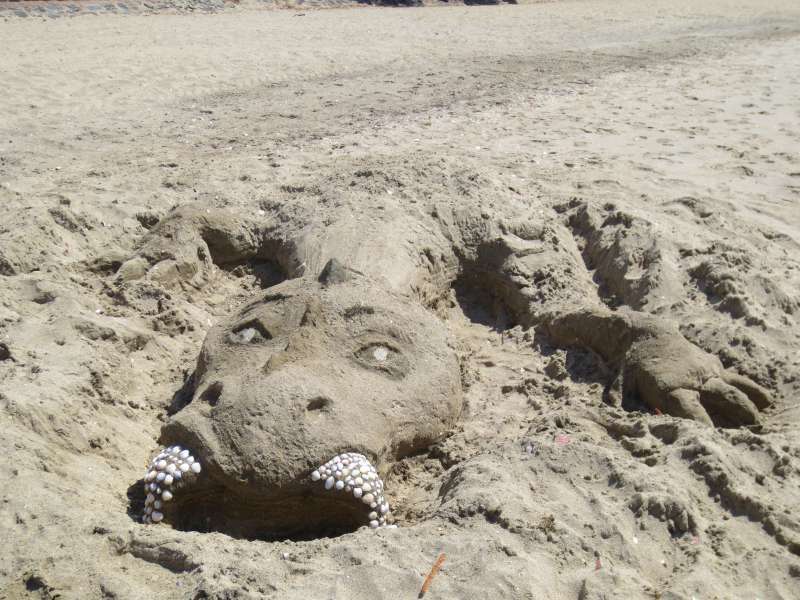 Two brothers were entertaining their children with a sand sculpting competition at Mission Bay. This was created by the Scottish brother - in Auckland on holiday. The next sculpture was created by the kiwi brother. You be the judge. Who won? My photo doesn't do this sculpture, by the kiwi brother, justice. The view from about halfway up the hill to Archilles Point. Website and maps - Auckland Transport This shows the route as far as Half Moon Bay but the path keeps going all the way to Musick Point. Make sure you take a map with you or check Google Maps from time to time. The path is easy to follow at first but gets tricky as you approach Half Moon Bay, particularly from Curacao Place onward. Although there are bicycle route signs marking the way, I am fairly sure one or two are missing. 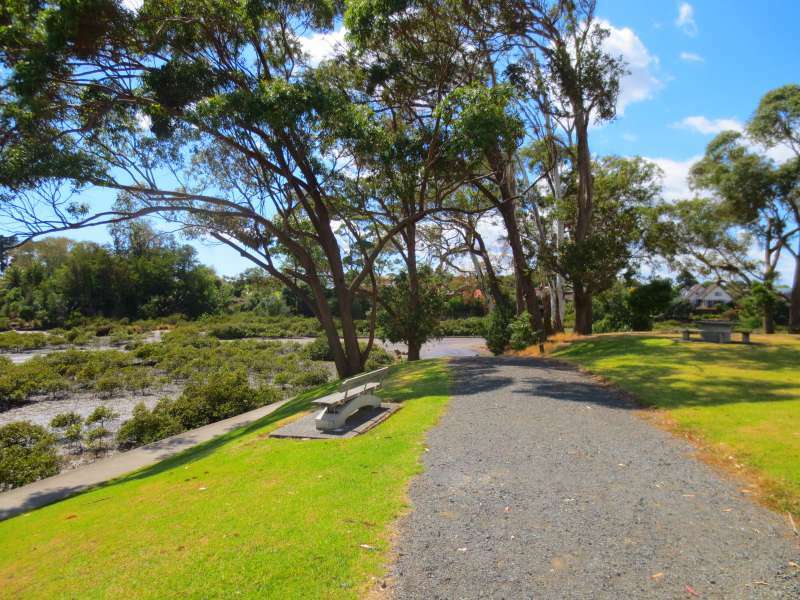 The path looks like it finishes at the boatyard at the end of Argo Drive at Half Moon Bay Marina but if you keep heading north-east next to the boatyard fence you come out at an elevated walkway which links up with The Parade at Bucklands Beach. From Bucklands Beach keep following the bay and you can't get lost. There are a couple of cafes at Half Moon Bay Marina and Bucklands Beach but that's about it. David and I stuck to our rule and took a picnic lunch with us. 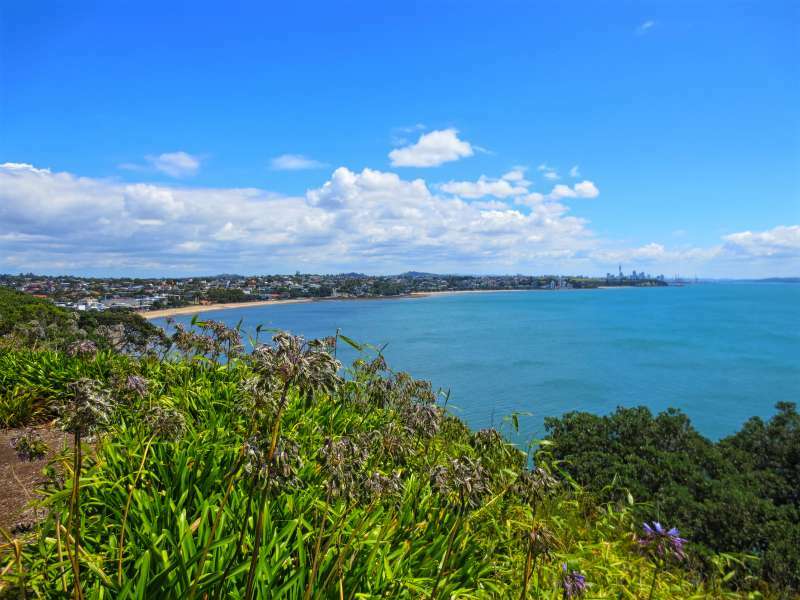 The best place to park is Tamaki Bay Drive about a kilometre from the beginning of the path. Take a water-proof jacket. We have done this cycle twice now and got rained on both times! The Tamaki Bay Drive entrance to the path. Looking across the Tamaki River. Low tide at Bucklands Beach. 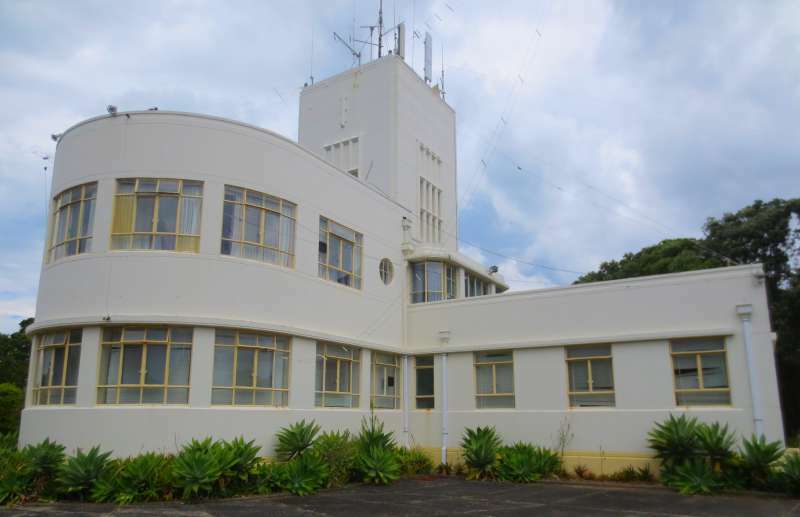 The end of the road - Musick Point Memorial Radio Station. You can't go inside but the views from here are great. I publish a new post each week on either Thursday or Friday, depending on your time zone. If you would like to follow our travels, check back each week or enter your email address in the 'Never miss a post: Follow by email' box in the right hand sidebar just below my profile picture. You are braver than me to cycle on the roads in NZ. Well done. We were mostly on cycle paths. The few roads were quiet back streets. The Auckland waterfront ride should be fantastic. On any day, people do part or all of this route on bicycles, by jogging, or walking. Your idea of parking in Mission Bay is a good one. Anywhere along the route (but outside of the CBD) should work. I suggest parking at the St. Heliers end, cycling to downtown, and then catching a return bus back along the waterfront. 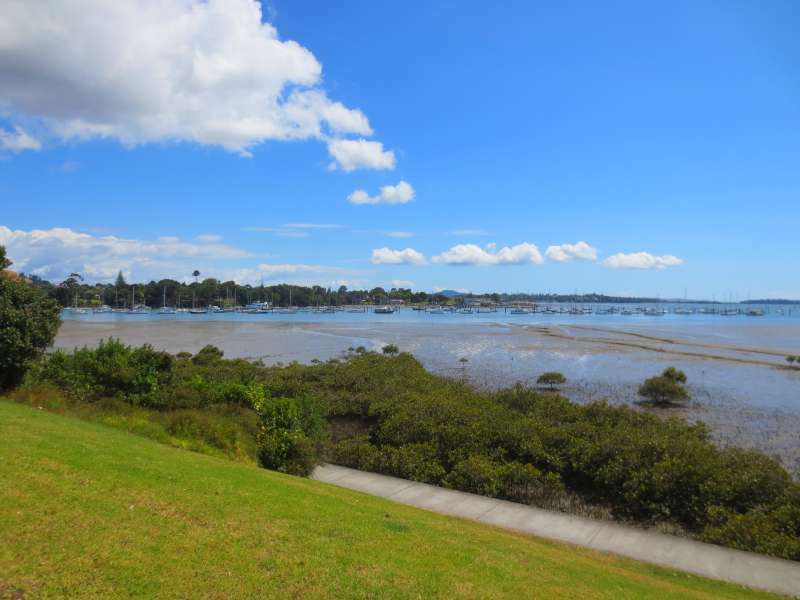 There was plenty of roadside parking once we got out of the CBD but Mission Bay just seemed an easy choice. I like your idea of catching a bus one way but I can't see David agreeing to that - lol. One of the best things about cycling is you get to really enjoy the views. The best thing about cycling is enjoying the views. Assuming it is a flat, easy path you cruise along at the perfect speed. The waterfront ride sounds like that would be my favourite! It was my favourite. I love cycling beside the harbour - whether it is in Auckland or at home in Sydney. Avoiding rain and hills makes cycling so much more fun! We try to do the hills on the way out so the thrilling downhill bit comes on the way home when we are exhausted. Looks like a great ride! And I thought we were the only ones who finally gave up and ate at the place with inedible food to find a wonderful place around the corner. Ha Ha. That's happened to us so many times! I suppose there is hardly a traveller in the world who hasn't had the same experience - more than once. That view from Archilles Point looks pretty amazing. I think I would be with you in the 'leisure cycling' camp quite well. I don't like step inclines, and I certainly don't like getting wet! thx for taking us along on the journey. We are fairly careful to check out both the weather radar, if there is any rain about, and a topographic chart before we set out. Neither tend to be huge problems in Australia, where we live. I too am a leisure cyclist so I love your tips on Auckland by bike. You're right there really is nothing quite as wonderful as cycling beside a beach on a sunny day. If you are ever in Sydney let me know and we'll show you our favourite harbourside cycle path. I just got a new mountain bike and it is brilliant for going up hills. I think bike technology has come a long way. I still prefer the flat though. Thank you. I suppose not everyone in the world can love cycling. I sometimes envy your skiing holidays just a little. While I would never fly to New Zealand with my bike (waaay too far), I would certainly rent one and your style of biking is exactly like mine. I hate hills and have realized 7 days straight biking, 6-8 hours a day is not leisurely. Love how you included itineraries. I'll definitely be "bookmarking" this post for when I decide to visit New Zealand. One thing I have learned about flying bikes is that distance doesn't make any difference. The hassle is all at the beginning and end of the journey. It doesn't matter how long you are in the air because the bikes are in the hold. The only rider to this is that the longer the flight, the more tired you are at the end and the less you are capable of dealing calmly with any problems. Oh - and catch connecting flights increases the chances of your bike getting damaged exponentially.